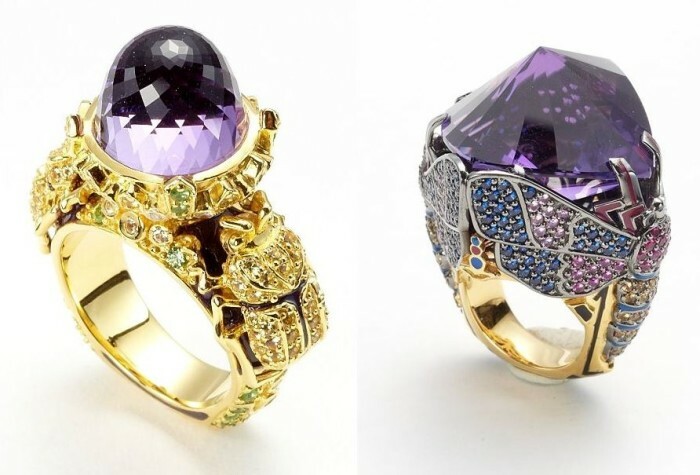 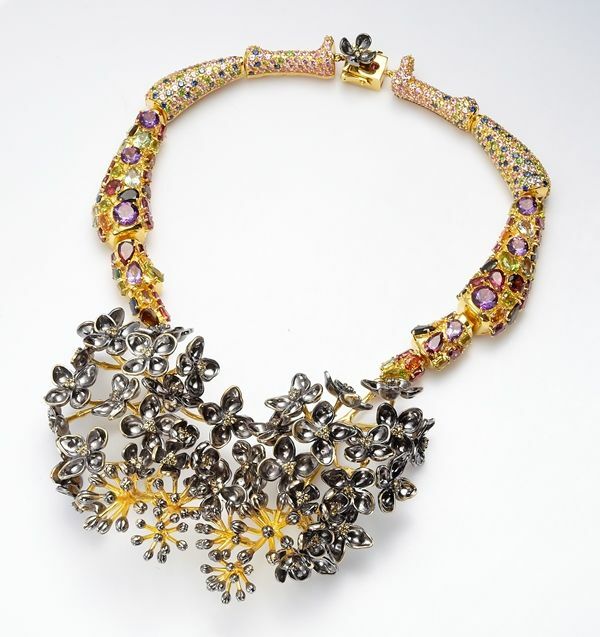 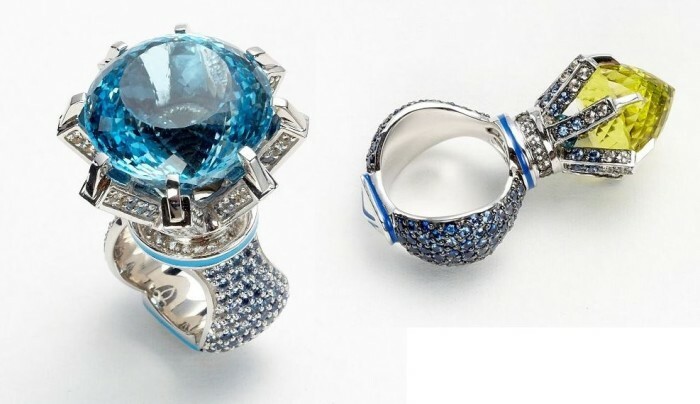 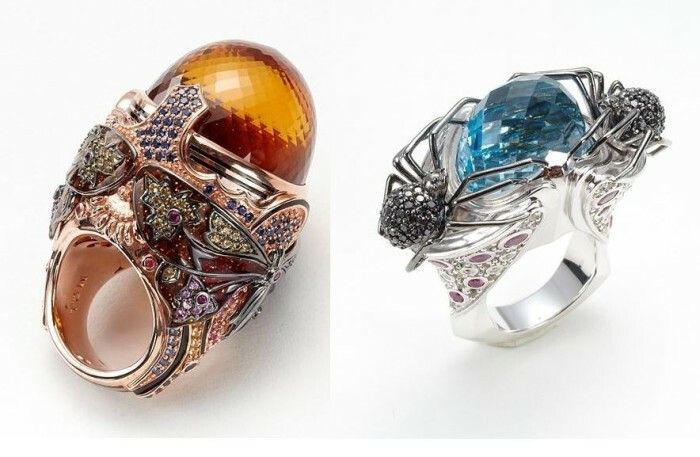 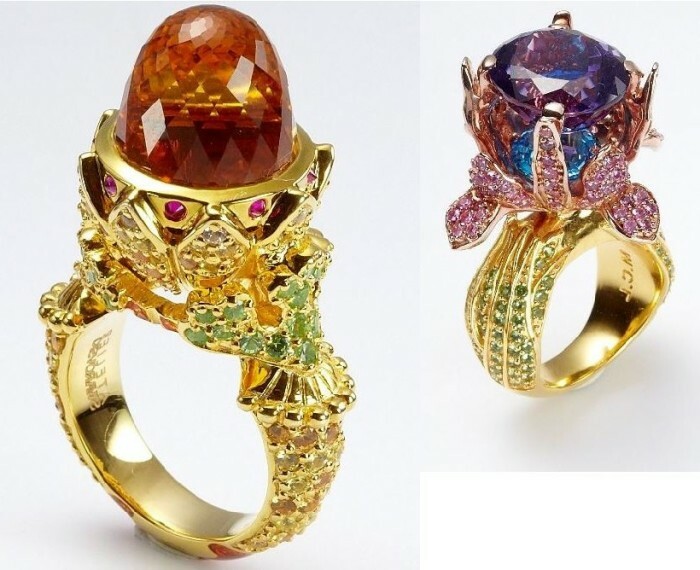 Created in partnership with designer Matthew Campbell Laurenza, Atelier Swarovski has launched its first fine jewelry collection named Jeweled Garden. 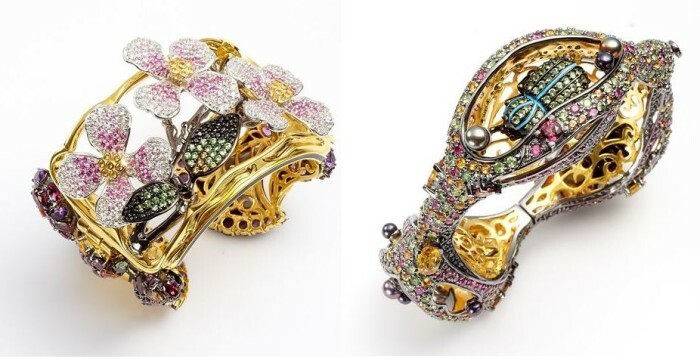 This is the second time both parties are working together, first time was in 2012 for an art project, also named Jeweled Garden, to create sculptures of flora and fauna in a hyper-realistic form. 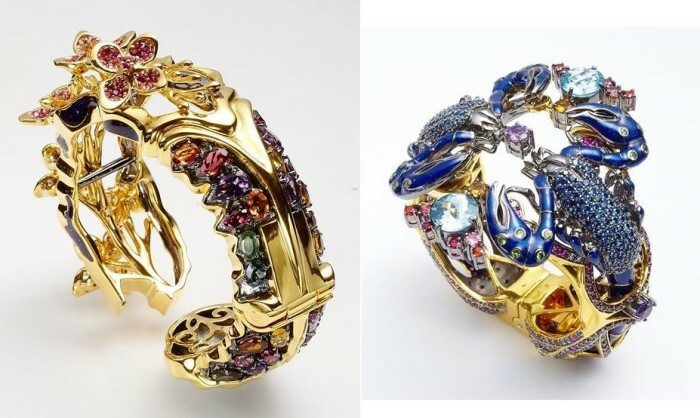 The collection boasts eight rings, four bracelets and three necklaces, all made with semiprecious and precious Swarovski gemstones, including multicolor sapphires, amethyst, rodolite garnets, spinel and topaz, all set in 18-karat gold. 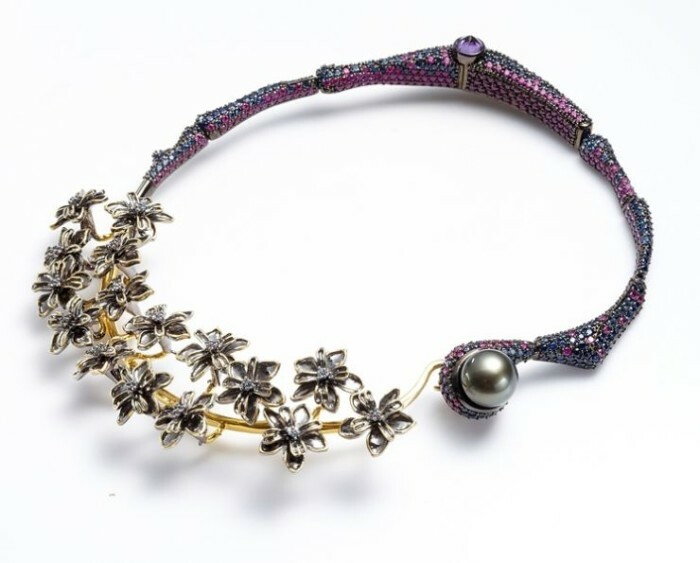 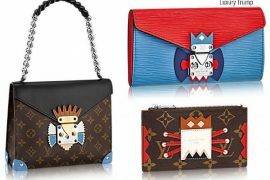 The designer wants the wearer to look at his creations as something they “picked from a magical garden.” The collection will be available exclusively at Bergdorf Goodman beginning today, with prices ranging from $8,750 to $118,000.